The Cuban American legacy of Tampa extends beyond Ybor City and fine cigar rolling establishments. 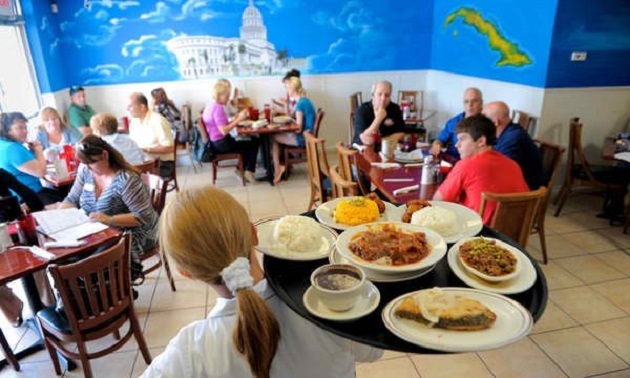 On Columbus Drive, closer to the Tampa International Airport, a stretch of the commercial district is known to locals as Boliche Boulevard because of the various Cuban eateries and stores found therein. Boliche Boulevard is where Arco Iris, a Cuban restaurant with a delicious menu and affordable prices, has been operating for more than 30 years; unfortunately, its successful business run is coming to an end at their West Tampa location. Arco Iris is scheduled to serve its last meal on the final day of 2018, precisely on New Year's Eve. The decades-long lease of the establishment will not be renewed in 2019 despite requests for an extension. Arco Iris has previously found itself in a similar situation when their landlord did not want to extend the lease, and this prompted owners Madelin and Jorge Gonzalez to open a second Arco Iris location on North Habana Avenue, about a mile northeast closer to Riverside Heights. The owners are being evicted for code violations and the news has shocked fellow merchants, neighbors and even members of the Tampa City Council. The history of Arco Iris is a Cuban American tale of success. As a young girl, Madelin Gonzalez arrived in Florida and was granted asylum, her husband Jorge Gonzalez is a chef who has always been interested in Chinese and Cuban fusion cuisine. Jorge's culinary experience in the United States started at a Chinese restaurant, and he later decided to inject Caribbean flavor when he found a commercial spot for rent that was vacated by an eatery named Arco Iris, Spanish for "rainbow." In 1984, the Gonzalez family did not have the cash to change the name of the restaurant; what they had was a commitment to preparing delicious Cuban dishes such as boliche, a meat and sausage roll, popular during special occasions such as Christmas. The dish became so popular that the strip of Latin American businesses on West Columbus Drive was renamed Boliche Boulevard with Arco Iris at the center of the action. While the closure of the original Arco Iris is a sad loss for Tampa residents and visitors, it is important to remember that the Arco Iris Cafe on North Habana will continue to operate with 68 seats and a delicious menu that includes Chinese-Cuban fusion dishes. Find more restaurants in Tampa and register on 813area, your free guide to everything in your city!